If you've ever opened a bottle of wine and noticed an off flavor, the wine may have been corked. Corked wines occur when the wine's cork or storage barrels have been tainted with 2,4,6-Trichloroanisole (TCA). Detectable TCA taint is present in approximately three to seven percent of all wines. Sometimes, bottles of wine become contaminated by the cork that has been used to seal the bottle. Although the cork is often the primary source of TCA taint, experts suggest that it can also come from the barrels in which the wine ages, or even from wooden walls and beams in production facilities. Such bottles are called corked wines because the cork is the most likely source of the taint. Discerning wine drinkers may identify a 'musty' or 'wet carpet-like' odor in them. If the contamination is not very significant, the wine usually exhibits a 'flat' odor and may just not taste like a good bottle of the same wine. 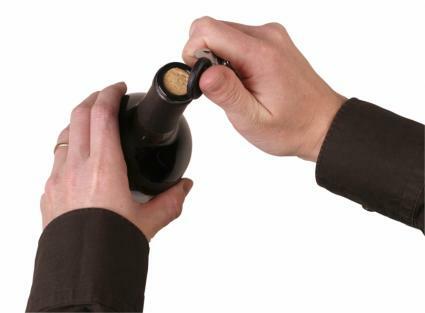 The trouble starts with the cork used to seal wine bottles. Cork trees have a naturally occuring mold within the bark that can sometimes combine with the remnants of the chlorine used to bleach and clean the corks for commercial use to form a chemical called trichloroanisole (TCA). TCA is directly responsible for the formation of the mold that taints the wine and changes its taste. This mold is invisible to our eyes and must not be confused with another mold that we can occasionally find under the capsule on top of the cork; this visible mold is caused by leakage and is quite harmless. The fact that as many as seven percent of all wines may be corked is quite significant for the wine industry. What it means for you is that one out of every 15 to 20 bottles of wine that you buy may be tainted. If you do encounter a corked wine, it usually means that that particular bottle is afflicted and you should return it for another. Remember, it is not a failing of the winery or the wine itself, rather an accident of chance. It is perfectly all right to return a bottle of corked wine. Politely request a replacement bottle. If the wine has been bought from a store or mall, pour the wine back into the bottle and return it to the store for a substitute. The wine industry has an increasing awareness of tainted wine and accepts a failure rate of about five percent on all wines produced. Most stores and fine restaurants understand the issue and provide you with a replacement. A French biochemist has created an invention to 'purify' corked or tainted wine. It calls for you to empty the wine into a decanter and then insert a copolymer that looks like a bunch of grapes into the wine. The copolymer absorbs the tainted cork molecules from the wine and restores its aroma and taste. Corked wine has nothing to do with the broken or crumbled cork that you occasionally find in wine bottles. This is a byproduct of an improperly opened wine bottle and does not affect the flavor of the wine. You can remove broken pieces of cork from the wine and the wine and consume it as usual. It is not easy to discern a corked wine. If the taint is of a low level, it usually manifests as a flat taste with little or no change in the aroma. When the wine is heavily tainted, it may give off a foul musty smell that will mask the other natural fruity aromas of the wine. It is usually easier to identify a tainted wine if you are drinking a variety that you have previously tasted or with you have substantial familiarity. Once you've detected TCA in wine, you will be more apt to identify it the next time. If you do detect off flavors in the wine, do not hesitate to return it. There is no reason why you should spend your money on damaged wine.